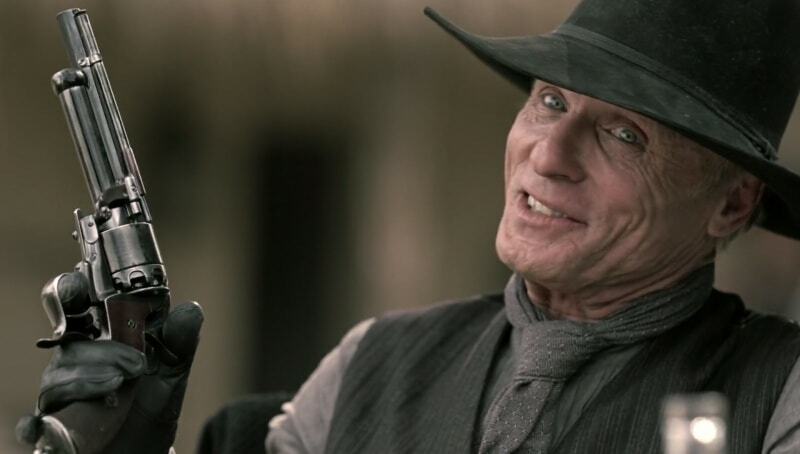 Someone asked us what kind of revolver Ed Harris’ “Man in Black” character was packing in the HBO series WestWorld. 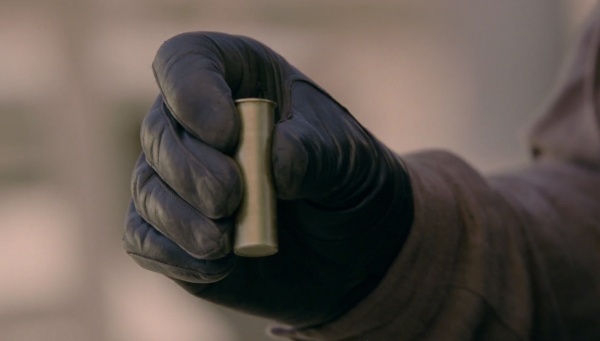 We first caught a glimpse of the grip and trigger in the first episode and thought then it was a LeMat. Details seen in the second episode confirmed it, but with a twist. It had obviously been converted to fire .38 Colt, something we hadn’t seen in our lifelong study of arms of the American West. The original LeMat revolver was a 9-shot cap & ball black powder revolver chambered in .42 caliber with a second single shot smooth bore barrel in .60 caliber (roughly the same as a modern 20 Gauge shotgun in dimension). The purpose of this secondary barrel was said to aid in foraging for game. But it was referred to as a grapeshot barrel, which by our reading means it was intended more as a personal defense arm. It took its name from Jean Alexandre LeMat of New Orleans. The first prototypes and first hundred revolvers were made in Philadelphia, Pennsylvania, by John Krider in 1859. 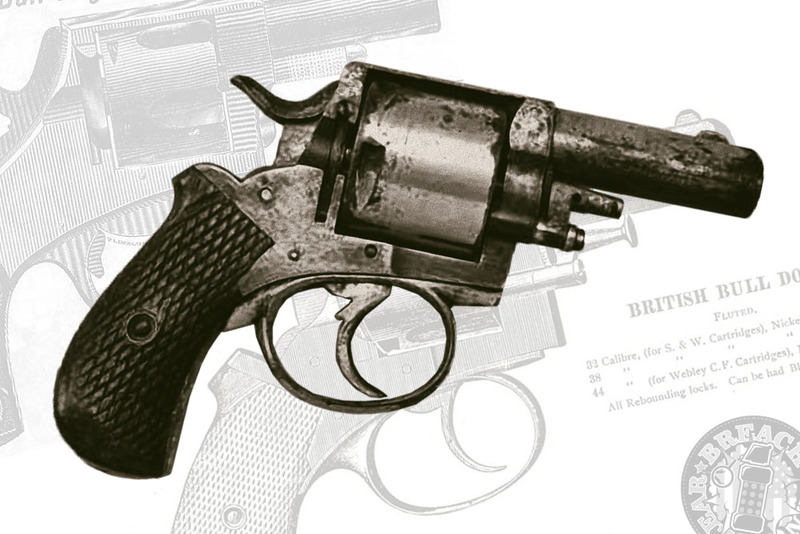 As the war between the states escalated, LeMat had to have the pistol manufactured in Europe as the North would not supply arms to the South and the South had no manufacturing facilities capable of producing the LeMat. A few thousand were made in Liege, Belgium, and Paris, France. Some of these revolvers made it to the Confederates, but most were seized or sunk with the ships bearing them by the Union Blockade. It is estimated that 2,000 downsized “Baby LeMats” were produced in .32 caliber with a .55 caliber (or 28 Gauge) grapeshot barrel. 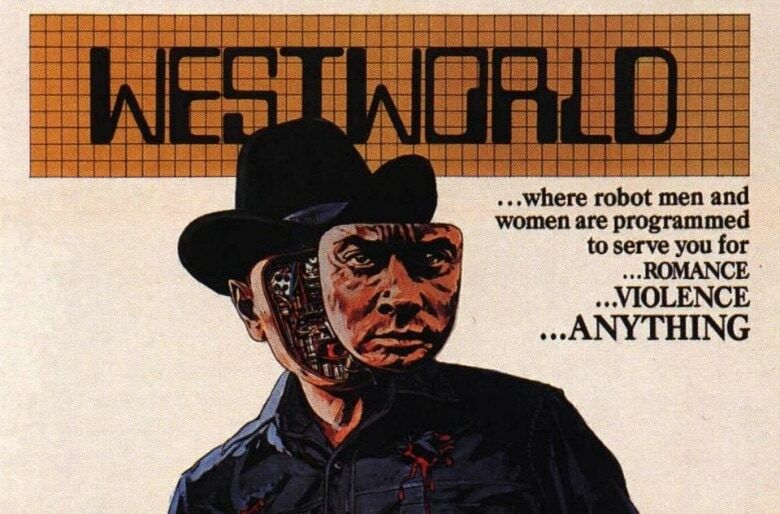 HBO’s series was based upon a 1973 sci-fi movie starring Yul Brynner as “The Gunslinger” – who wore all black. 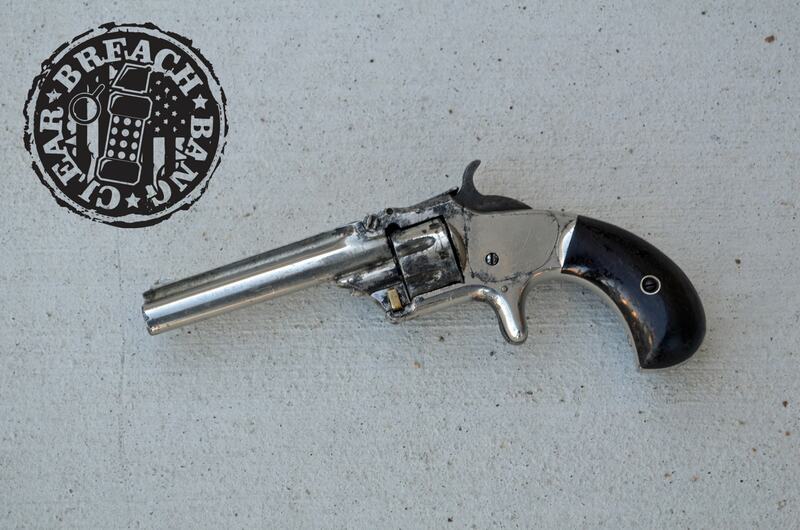 As most revolvers of the day used either a .44″ or .36″ diameter ball, shooters had to cast their own bullets. Later versions of the cap & ball LeMat were updated for this change. Almost none of these made it through the Union blockade. Major Generals Braxton Bragg, J. E. B. Stuart, Richard H. Anderson, and Major Henry Wirz carried LeMats, as did Colonel LeMat and his sponsor, General Beauregard. When cartridge-firing firearms came into vogue, the LeMat was offered in 12mm Perrin or 11mm Chamelot-Delvigne, with a 24 gauge shot barrel. A carbine version was manufactured, too. So now we go back to the WestWorld gun. No, the series gun, not the movie gun(s). The WestWorld LeMat is most certainly is a black powder conversion as opposed to one of the later cartridge LeMats. Based on the ammunition and headstamps from the show (.38 Short Colt), we have something of an enigma. The spare cylinder and act of removing the cylinder reveal this to be a conversion, as the pinfire variants used a loading gate at the 4 to 5 o’clock position on the rear. For those not familiar with .38 Short Colt, it is the parent cartridge to the .38 Long Colt, which was the parent to the .38 Special and later the .357 Magnum. Everything but the case length is identical on these cartridges, which means that they can be fired out of your Colt Python or S&W 586. But why would you want to? We’re looking at a 93 to 125-grain bullet moving at less than 800 feet per second with 160-180 foot-pounds of energy at the muzzle. But let’s go back to the LeMat cylinder. You have a 9-shot cylinder with thin walls. There’s not a whole lot of room for a rimmed cartridge, so the chambers and barrel were probably sleeved to a caliber insert. 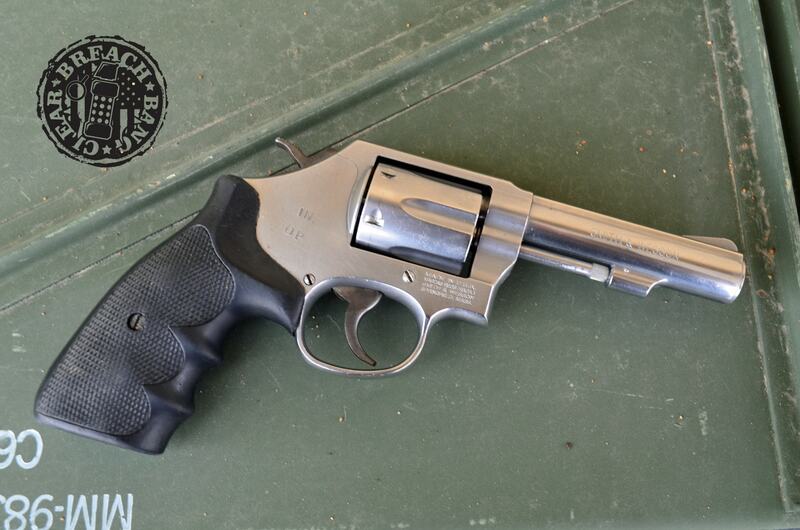 Since .38 Short Colt was designed for use in Colt cap & ball black powder conversion revolvers, we suspect the maker had access to the same tooling and used that cartridge instead of the .38 Long Colt or .38 Special. However, the more interesting part of the conversion is the 20 Gauge shotgun barrel. The original shotgun barrel on a LeMat was threaded on and then locked by a latch. This would appear to be a more difficult part of the conversion for loading purposes unless the shotgun barrel somehow comes off like the cylinder. At any rate, the LeMat has long been a favorite of ours and reproductions are still made by Pietta. 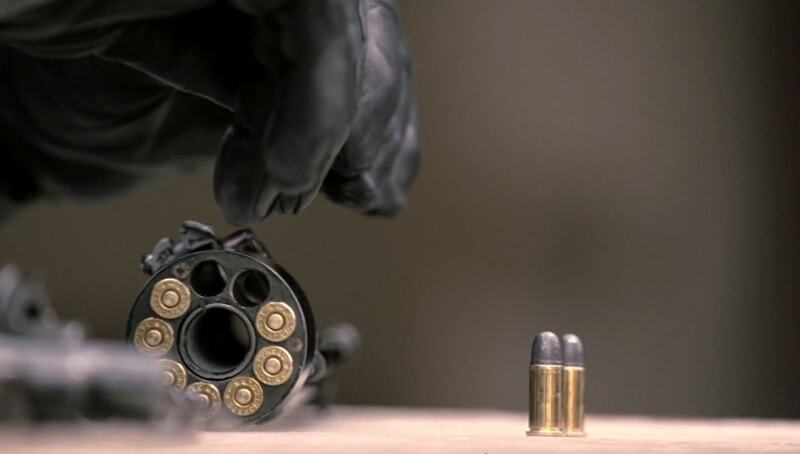 We think a cartridge version like the one Harris uses with a 20 Gauge barrel might make for a very cool AOW (yeah they could go rifled 410, like the old Johnny Ringo television program from the early 1960s, but why bother? It’s a $5 tax stamp!). If you’re into firearms used in movies or want to see what rifle Al Pacino actually used in Heat, check out IMFDB.org. The Internet Movie Firearm Database has pictures and articles of every firearm ever used in a movie, TV show, video game, etc. and is maintained by bonafide gun nerds as well as actual film armorers and weapon prop masters. Sign up if you want to pitch in and help out or at least subscribe to their newsletter, authored by Yours Truly. You can also check out Doug Adams’ book The LeMat Revolver, available on Amazon.